Are you an electrician planning on contracting in Queensland? 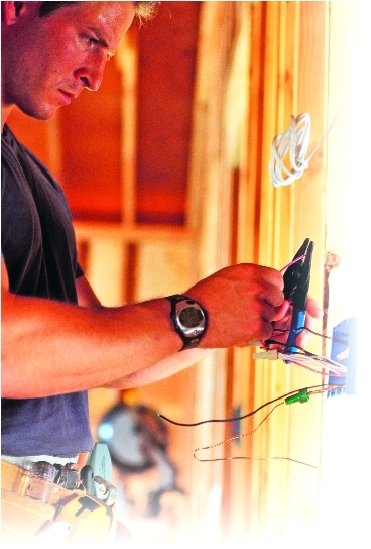 If so, you’ll need to obtain a Qld Electrical Contractors Licence. It doesn’t matter if you or your business is based in Qld or in any other state, but if you perform work in Qld, you will need to hold the relevant licence. A licence must be held by any entity performing electrical work for others. This includes sole traders, subcontractors, partnerships and companies. You can find more information on the definition of a qualified business person and qualified technical person in the Electrical Safety Regulation 2002 document, but basically it means that you need to be qualified to undertake electrical work (i.e. trade qualified electrician) and have either completed an approved course or have been operating a business for at leave five years. In order to apply for a new licence or renew your existing electrical contractors licence you will need to have in place a public liability insurance policy of at least $5 million. Additionally, your policy will need to include a special option known as consumer protection insurance. The amount of consumer protection cover included must be no less than $50,000. There are only a limited number of insurance companies offering the specific cover required for an electrical contractors licence in Qld. For more information speak with your insurance broker, or contact Trade Risk who specialise in looking after tradespeople, and especially electricians. You must ensure that any policy issued meets the Qld requirements, and you broker must be able to sign and issue the special certificate of currency stipulated by the Qld Government. To apply for your electrical contractors licence or to obtain more information please click here to visit the official government website. 5+years in the trade, what courses do I have to do and can it be by correspondence?